At the beginning let’s talk about why testing is important. When you’re developing any kind of app or tool (especially open-source) then tests should be your allies. Consider the quality that they bring. When your tests cover all possible exceptions and cases in your code, you can be sure that it won’t fail you in the future. That’s yet another reason for testing – assurance. Having tests that cover your entire code-base kept up-to-date allows you to continuously check it for any errors. It makes you sure that everything is fine. If you haven’t done any project that needs to be managed by a number of people or needs to serve others (OSS) then you might not really take this whole assurance as a thing. But believe me, it’s really important. You can never be sure of wellness of your code without any warranty.  Last but not least we have the advantage of documentation. Believe it or not, properly done tests can sometimes deliver an even better understanding of how to use a particular piece of code than the entire page of text. Just think about it. You have tests that your code passes. This way you have information about how to use the given code and what its outcome is. So, as you can see there are many reasons to start testing your code, thus if you haven’t already, it’s time to do some testing! If I managed to convince you to do testing, then I’m really happy.  But the size of the world of code testing can feel a bit overwhelming at the beginning. There are so many terms, concepts, ideologies and tools, and libraries to know about. Let’s give it some structure then. First things first, you have to know what kind of tests you’re doing, so that you can later choose the right tools for the job. There are 3 main types of tests, divided by the reason they exist. Unit tests – Unit testing allows you to test a really specific aspect of your code, e.g. one function against expected outcome. Here it’s really important for your tests to cover all the code that you have, feature by feature. These are the main focal point of this post. Integration tests – Test different parts of your code e.g. components to work as they should. You should also check the way they work together i.e. structural integrity. Side effects are also really important to check. You have to know if there aren’t any functions calls and etc. that you didn’t plan. Functional tests – I think the name UI tests explains the purpose of these a little better. With functional tests, you check your final product e.g. web app in a specified environment, usually a browser. Here comes the concept of headless browsers, where you execute your test in a browser without visible UI by controlling it with different API calls. It might seem a little awkward at first, but it’s a very useful technique, especially for saving some time required by UI and other processes, that are not present in headless mode. 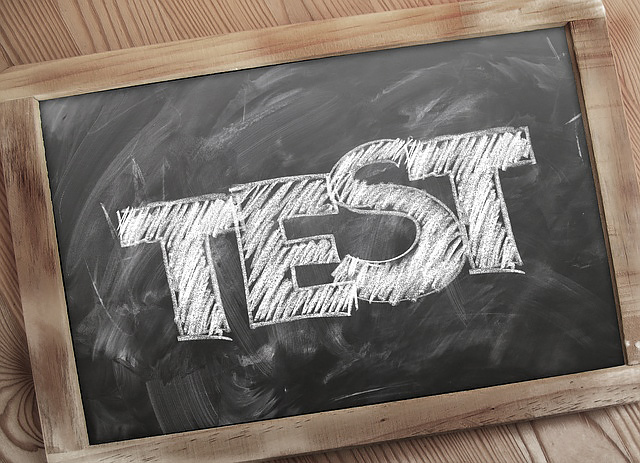 Now, that you know a bit more about different kinds of test and what unit tests exactly are, I think it’s a good idea to talk a little bit about basic concepts and terms when it comes to testing. I’d like to start by explaining the TDD and BDD shortcuts that you might have already seen somewhere before but didn’t pay much attention to. As these can be seen as basic guidelines when structuring and writing your tests. Test-Driven-Development (or TDD for short) is a process of developing your software while basing on tests. It’s like a cycle, a loop – every time you want to add a feature, you first write your tests (which will obviously fail at this point), then you write the actual code, that fulfills these tests, and then you test again to check that. Your development is based on tests. Pretty interesting idea, won’t you agree? As for Behavior-Driven-Development (BDD), it’s yet another ideology, which in fact is based upon TDD. But, the name might not be as self-explanatory as it was with the first one. It can be seen as TDD with some better, additional guidelines. Here, our development is driven not by test specifically, but by behavior, specification, which in fact are tests anyway.  They are just better described, using pure English. This allows your tests to be much better documented and thus more readable. That’s why libraries adopt this way of doing tests more often than TDD. Code coverage – indicate how big part of our code the tests cover. These are some incredibly useful stats, which can be an additional feature to consider when choosing your next testing library of choice. Of course, there are standalone tools for this, but having everything in one bundle is much more comfortable. Mocks – also called fakes, are used to fake certain behaviors to later use them in tests, to provide reliable input/output checks even without different features implemented in a realistic manner. Spies – provide information about functions. By using them you can know e.g. how many times, when and with what arguments a function was called. They are possibly the best way to check for side effects. Stubs – alternatively called dubs, give you the ability to replace chosen function with something different, to test expected functionality and behavior. Snapshot testing – a way of testing, based on comparing output data with an already saved copy (snapshot). With this, you should have a basic understanding of ways of testing and functionalities that you would expect from your library-of-choice. As here I’m focusing only on unit tests, be sure to check out some links in above-listed terms for tools that provide given functionality in a standalone package. 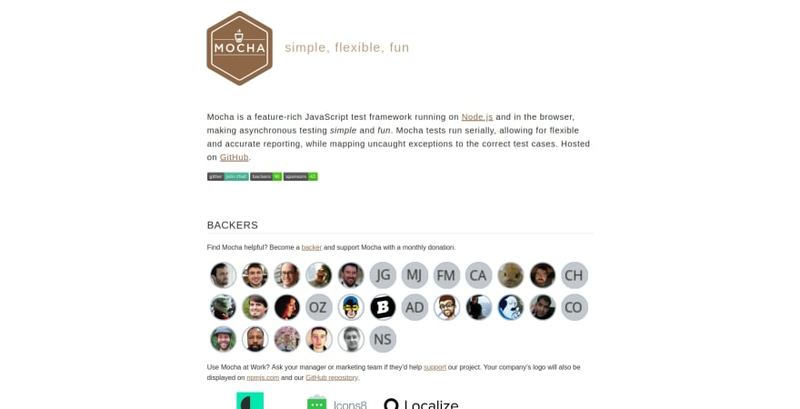 Mocha is yet another library, with the goal of making testing fun and simple. Following BDD ideology, it has well-design descriptive API. Also, Mocha is different when it comes to its architecture. It provides developers with minimal, flexible setup, allowing them to extend it with other custom libraries, responsible for different tasks. With Mocha, you can use any assertion library you want (it doesn’t have its own), including the NodeJS built-in one or Chai. Its API might feel a little similar to Jest’s with some small differences. 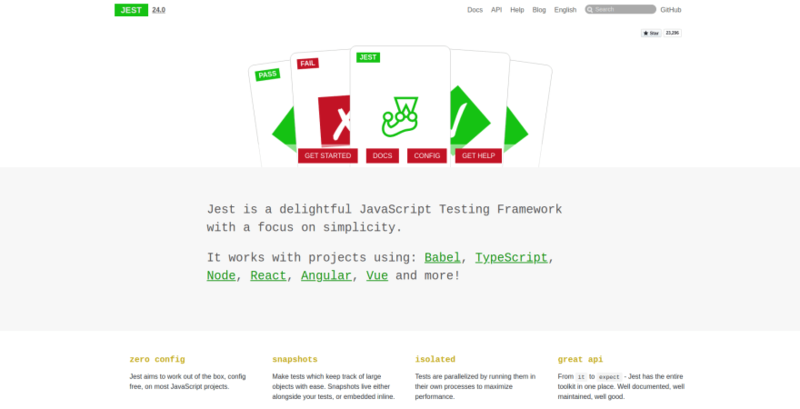 Because of its architecture, Mocha lacks features that Jest has built-in. We’re talking about code coverage and more importantly parallel test runner (Mocha runs tests on one process only). Well, where it lacks in functionality, Mocha makes up in visuals with a great choice of tests progress reporters (a feature supported by Jest too). But, as I said, Mocha is for those you like to have their own configurable setups. Besides that, its docs might feel less polished that Jest’s but they defiantly exhaust the topic. Jasmine might be a bit older than some of its competitors on this list. It’s advertised as batteries-included, trying to provide every feature that developers would possibly need. 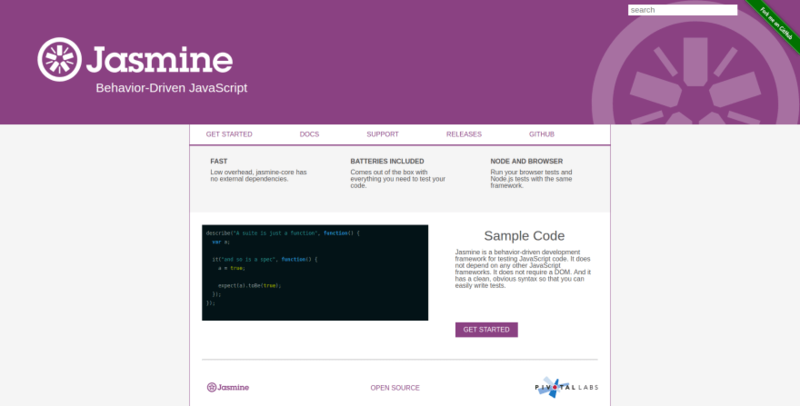 Thus, Jasmine has assertion functionality built-in with expect style implementation. With that comes other built-in features, such as spies, mocks, reporters etc. Also, if you’re doing some development with Ruby or Python, you might find it comfortable to use the same library, as Jasmine has official support for those two. As for the docs, they cover all the topics well, but their structure didn’t really impress me. 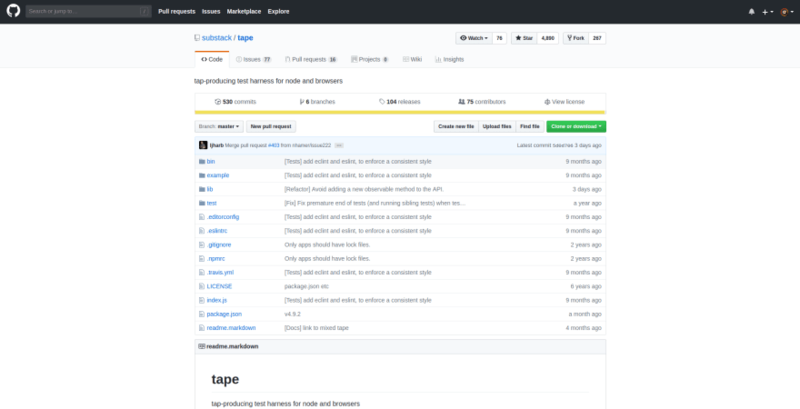 Tape is, again, minimal and flexible library for doing tests for NodeJS and browser. Its API is a bit different than the others’ but still readable, with the same ideology in mind. Everything you need to know about it has its place in a single README file. And… it has pretty support for a great number of TAP reporters which is always an advantage. AVA is a testing library with built-in assertion functions and great focus on async tests. It has simple API (just like other BDD tools) and the ability to run tests in parallel. Just like Tape (which it’s inspired by), it has no implicit globals. In addition to that, it has Babel v7 built-in, so that you can write your tests in ES-Next without any additional configuration. 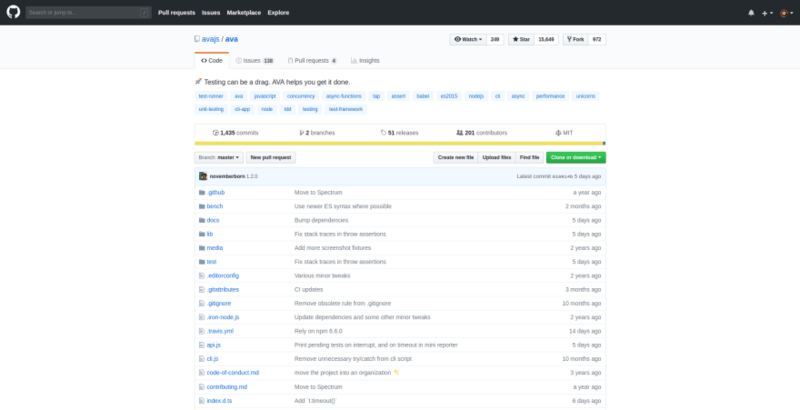 All its documentation can be found on its GitHub repo.